Someone, somewhere would have become very rich as a result of Pastor Maldonado's shock win in last weekend's Spanish Grand Prix. I'm told you could have got odds of 250/1 on a Maldonado win at the start of the weekend. To place that into some sort of context, that's roughly the same odds as for Everton winning next year's Premiership, or for FC Basel winning next year's Champions League. 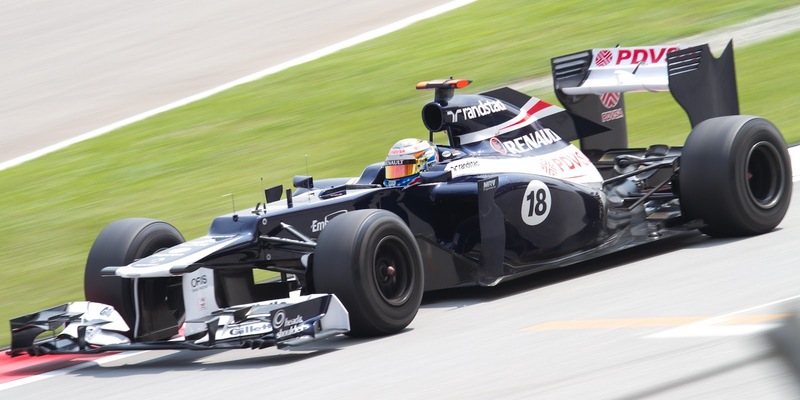 To further place the surprise of Maldonado's win into context, it's genuinely hard to cite a historical example of an F1 race whose victor was less expected, particularly if you include only those won pretty much on pace (as Maldonado's was) rather than owing to inclement weather or other freak circumstances. 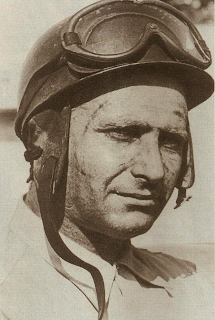 Examples that spring to mind, such as Stirling Moss's win in Monaco 1961, Dan Gurney's win in Spa 1967 or Michele Albereto's win in Las Vegas in 1982, seem to pale by comparison in the surprise stakes. Perhaps if the 1997 Hungarian Grand Prix had been a lap shorter and Damon Hill had won in his Arrows, or if John Love hadn't needed a late fuel stop and thus won the South African race in 1967, those would have surpassed it. But they didn't. Indeed, even if you were to allow in those wins helped by the rain or other unusual circumstances, such as Sebastian Vettel's win at Monza in 2008, Vittorio Brambilla's in Austria in 1975 or Jochen Mass's at Montjuic the same year, they cannot be said to be unequivocally bigger surprises. In other words, Pastor Maldonado's win in Spain will be one that goes down in history. It's probably come to your attention by now that this F1 season is shaping up to be a rather remarkable one. And this is reflected in the record books. This year is only the third time in history that the first five rounds have been won by five different drivers (the previous occasions being 1967, 1975 and 1983), and only the second occasion (after 1983) that they've each come from a different team. a half rounds in the first six 1951 rounds! The next round at Monaco awaits, and were we to have a sixth different winner there (not especially unlikely given some of those who haven't won yet) that would be unprecedented. That's unless with a bit of a stretch you include 1951, wherein there were indeed six different winners in the first six races, but one of them was shared between Luigi Fagioli and Juan Manuel Fangio (who won one of the others off his own back) back when you could swap drivers during a race, and one of the winners came from the Indianapolis 500, which for some reason counted towards the F1 championship in the 1950s and thus became every F1 statistician's favourite anomaly. The records for the numbers of different winning drivers and teams in a season are held by the notorious 1982 campaign, which boasted 11 winners from seven different teams, and indeed no single driver won more than two of those rounds. While the final point, in a 20 race season, probably will never be repeated, all of a sudden 1982's other records don't look quite so invulnerable as we thought. There are five winners from five teams so far as mentioned, and Lewis Hamilton, Mark Webber and both Lotus drivers look to have wins in them this year, which would take us up to nine winners from six teams. A couple of Maldonado-style shock performances would then take us up to 1982's records most probably. And it's not as unlikely as you might think: remember that Sergio Perez in the Sauber could/should have won in Malaysia this year, and with Maldonado's win on the books all bets are now off. The surprise result in Spain was further fuel to the 'this year's Pirelli tyres are turning F1 into a lottery' debate. I can't help but think some of the talk is overstated: quick cars will still be quick, the competitive order appears to have closed up generally with or without the tyre factor plus the tyres are the same for everyone. But it can't be denied that what makes this year's batch of Pirelli tyres work and what doesn't is to a large extent a mystery currently to the teams and drivers. Red Bull boss Christian Horner (among others) has said as much: 'we are a long way from understanding it (the tyres) at the moment and the only comfort we take is that it would appear everyone else is in the same boat!' Fernando Alonso, similarly, commented after the Spanish race that his finishing a minute behind the best Red Bull in Bahrain and a minute ahead of it in the next race in Spain wasn't close to all being about car development, something else was going on. 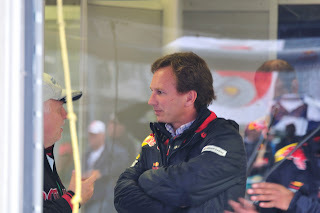 Horner and others have surmised that tyre management has overtaken even aerodynamics in importance in determining who'll prevail this year. I was intrigued by Adrian Newey's comment over the weekend though that it's not so much that the tyres are impossible to understand, it's more that the engineers haven't begun to understand them yet. Therefore, being the first to get your heads around the Pirellis could be a vital advantage in claiming honours this year. But also, when teams do begin to understand the tyres, just like in the latter part of last season we'll probably all start to complain that the races weren't us much fun as before. Can't please us F1 fans. By this time last season Sebastian Vettel was 41 points clear at the top of the drivers' table and the championship was his to lose even at that early stage. With such a tight, predictable season this year the destination of the title is much less clear. Nevertheless, I've been able to distill it down to four favourites (in no particular order). First off, the incumbent. Vettel leads the championship and, depsite not having the wheels to dominate as last year, has been driving well and racing decisively (aside from his Narain Karthikeyan faux pas). Further, the Red Bull team we've witnessed in action in the past few years won't be holding anything back in improving Seb's chances. Then there's Kimi Raikkonen. It's like he's never been away in his comeback thus far, there are few cars an F1 driver, given a choice, would pick ahead of the Lotus E20 right now. Indeed you could argue that he should have won the past two races and only didn't because of sub-optimum strategy. He lurks just 12 points off the table top, and there will be plenty more to come from Enstone. Despite popular perception, that team's record of in-season technical development in recent times is a good one. 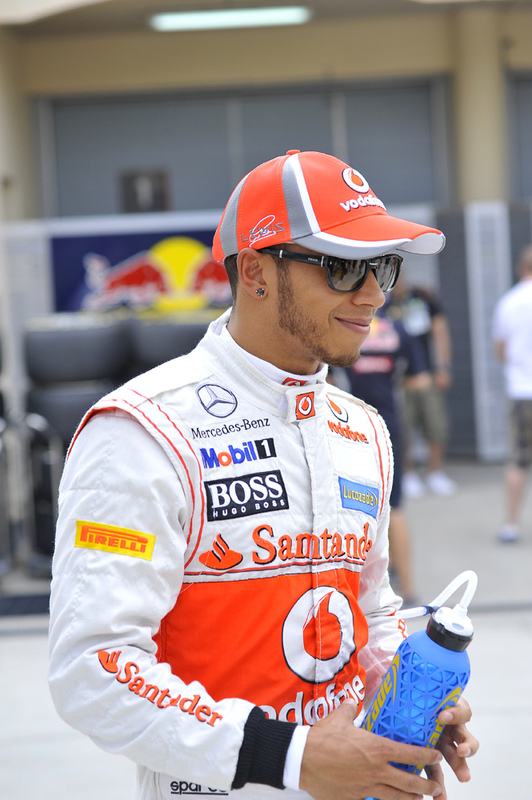 Lewis Hamilton - this year's title favourite? Next up Fernando Alonso, who has been driving brilliantly in 2012 and somehow (given how evil the F2012 is) is joint top of the tree with Vettel. And Ferrari seems to have the steepest learning curve with their car, so all things being equal it has the biggest technical strides available, and it appears outwardly that its correlation issues are being overcome. Alonso's title charge likely hinges on this; you suspect that even he can't make up for the F2012's deficiencies if they persist for a whole 20-race season. And last but by no means least we have Lewis Hamilton. He's done enough to qualify on the front row at each race so far, and it seems to be no less than a freak of nature that he hasn't won a race yet, or even that he's not be leading the table. We're, quietly, seeing Lewis back to his best in 2012, something close to the complete performer we saw in 2007 (he even managed a marathon 31 lap stint on a single set of Pirellis in Spain). While the aggression and speed still remains, the errors and desperation from last season now seem very long ago. And the McLaren looks the most consistently competitive car. I'd go so far as to say Lewis is the championship favourite as things stand. The only elephant in the room is his team's strange ability to drop the ball at vital moments. That, more than anything else, has kept Lewis away from the championship lead so far. Which brings me neatly onto my final point. Lewis Hamilton's penalty of being dropped to the back of the grid, after running short of fuel on his slowing down lap after setting his 'pole' time, was for many the story of the weekend. For all of the associated sound and fury, the most important factor for me was that it represented yet another operational error from the McLaren team: first off not taking the extra time (which it had in hand) to ensure that the requisite fuel was in the car, and then, as Martin Whitmarsh accepts, making the error of not aborting the lap once the error was clear. Of course, human error can always happen, but it's becoming more and more apparent that such errors seem to take place more regularly at McLaren than at its direct rivals. The fuel error in Spain follows on from botched in-race pit stops in Malaysia, China and Bahrain (for both drivers) as well as needing a gearbox change before the China race which got Lewis a five-place grid penalty. And it's not exclusive to this season. McLaren fans I talk to have long complained that with the team something always seems to go wrong (remember them forgetting to take the bungs out of Jenson Button's sidepods in Monaco in 2010, thus condemning him to an early engine failure? Even in the Hakkinen days of success trodding on its own tail seemed more common for it than for Schumacher's Ferrari team they were up against). It leads you to think that something is fundamentally amiss with how the team does things, as well as to wonder why exactly the issue, hardly new, hasn't been at least alleviated by now.